all can savour panoramic views of the city. You will stay in Florence, the magnificent Tuscan capital, for six nights and will have plenty of time to marvel at Michelangelo’s David. 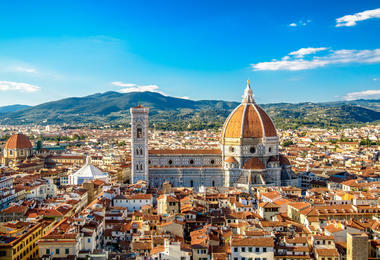 Enjoy a taste of the dolce vita in Florence’s many trattorias, gelaterias and wine bars, and drink Chianti in Chianti. 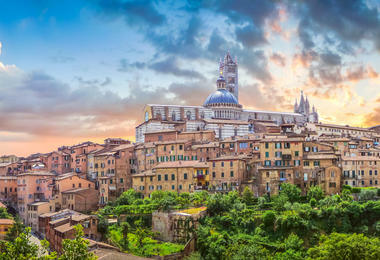 You'll visit Siena, home of the iconic Palio horse race, the gardens of La Foce and the striking fortified hill town of Montalcino. 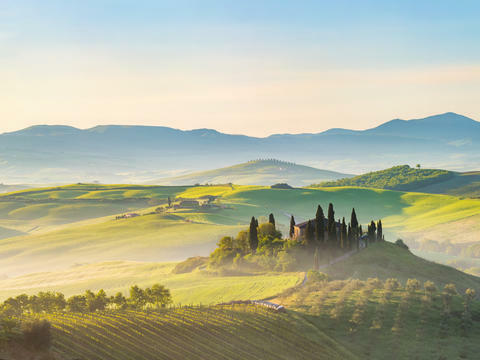 The Val d’Orcia, with its iconic rolling vine-clad hills, cypress trees and hilltop villages, was the first rural area to be UNESCO listed. 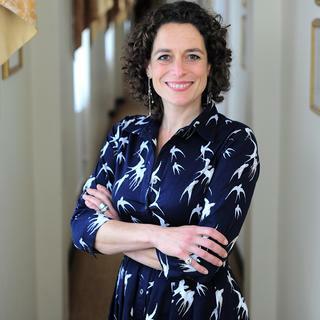 You will be joined by Alex Polizzi, granddaughter of hotelier Lord Forte, for a private walking tour, drinks party and dinner in Florence. Stay at Florence's five-star boutique hotel Montebello Splendid and at a 13th-century Franciscan Convent with panoramic views. Alex comes from a long line of hoteliers and is the grand-daughter of Lord Forte. Following a degree in English at Oxford University, Alex trained at the Mandarin Oriental in Hong Kong, worked for Marco Pierre White at the Criterion, and has worked at Rocco Forte Hotels around the world. 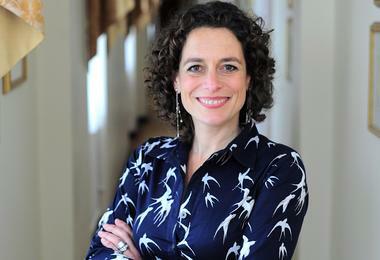 In 2008, Alex started presenting the highly acclaimed Channel 5 show, The Hotel Inspector, which was followed by two series for Channel 5 in which she explored her Italian heritage: Alex Polizzi's Secret Italy and Alex Polizzi's Italian Islands. * Based on 2 sharing twin/double room. Single rooms available on request at supplement of £600, subject to availability. Flights based on London departure, regional flights may be available at supplement. Itinerary/hotels subject to change. ATOL protected. 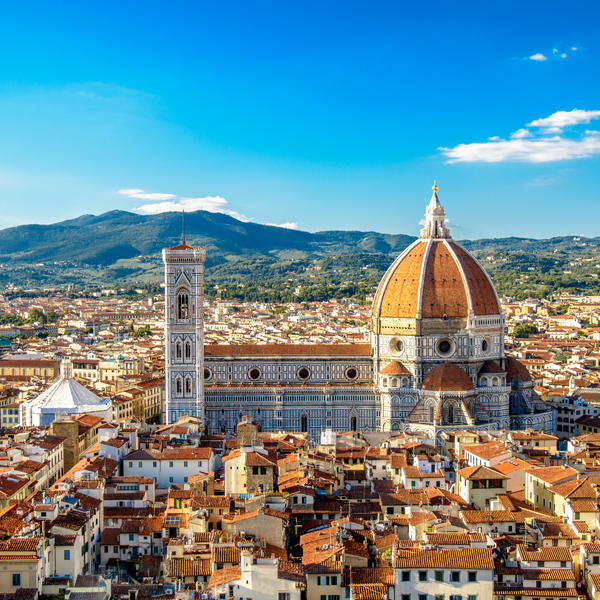 You'll fly with British Airways direct to Pisa from London Heathrow and be met at the airport and transferred to your hotel in Florence, enjoying a light lunch en route. Before check-in you'll make a short stop to admire the panorama from Piazzale Michelangelo, a famous viewpoint above Florence. 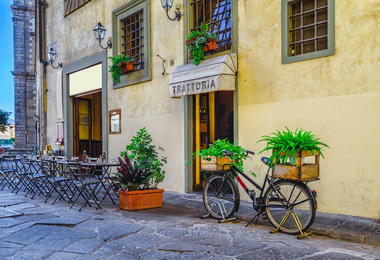 Tonight enjoy dinner at an authentic local trattoria. 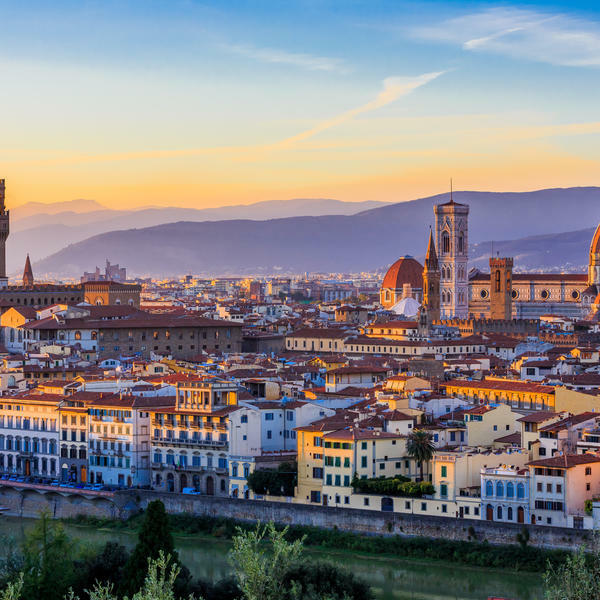 Accompanied by Alex Polizzi, you'll enjoy a morning guided walking tour of Florence, including the Piazza del Duomo, the spiritual heart of the city, and the nearby Piazza della Signoria. The morning's sightseeing concludes at the impressive Franciscan church, Santa Croce. There will be free time for lunch before visiting the Accademia to admire Michelangelo's David. This evening after a drinks reception, Alex will give an exclusive talk and Q&A and join you for dinner. Visit the Santa Maria Novella, founded by Dominican monks in the 13th century and housing a wealth of artistic gems. Continue to Medici Chapels, the mausoleum of one of Florence's most notorious families, as well as some of the city's lesser-known sites. After a late lunch, enjoy the rest of the afternoon at leisure for self-exploration. Today you'll visit this beautiful Tuscan town known as the 'medieval Manhattan' of Tuscany thanks to its many fortified towers. There will be free time to explore the walled city and sample its famous artisanal ice cream. 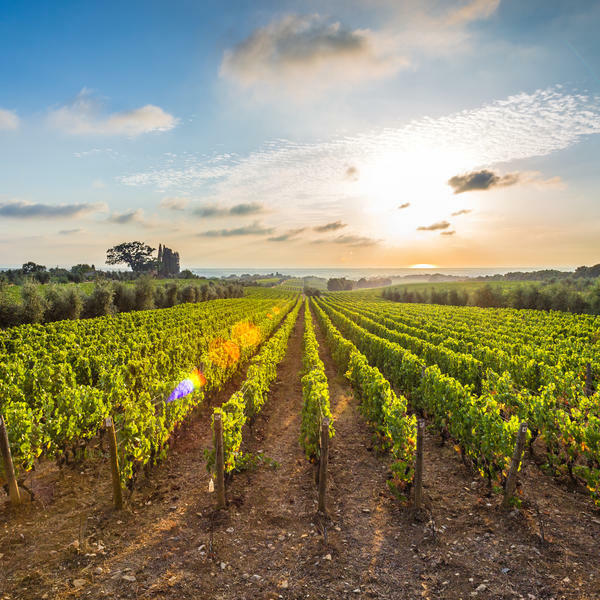 After an independent lunch, continue to a nearby farm to learn about the city's tradition of saffron production - including tasting of saffron and organic olive oil. Enjoy today at your own pace, providing you with an opportunity to explore more of Florence's historic gems and outdoor markets. Alternatively, you may want to catch a train or bus and do a day trip to Pisa. 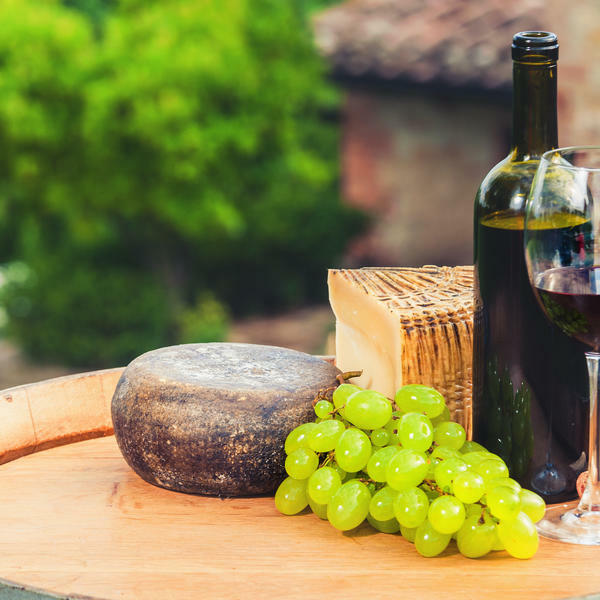 Transfer to a beautiful winery in the heart of Chianti country for a fascinating visit to its gorgeous grounds and historic cellars. 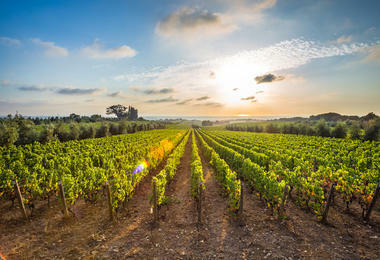 Savour its wines over a hearty lunch of local produce. Return to Florence in the late afternoon. in its main piazza. 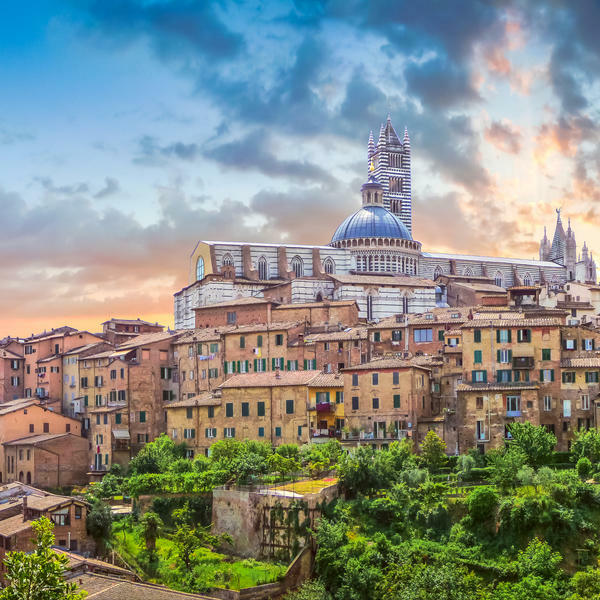 A guided walking tour will reveal some of the traditions associated with the Palio, and a visit to Siena's magnificent Duomo is included. After an independent lunch, continue to Lucca for dinner and check in to your hotel for the next three nights, the Hotel San Martino. 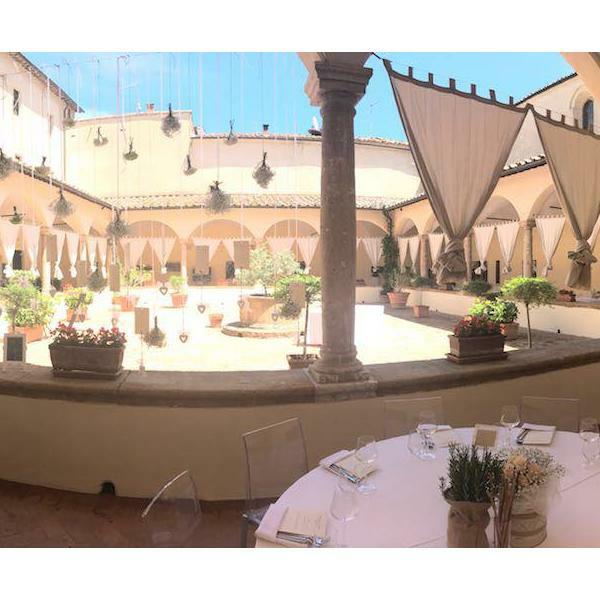 After an independent lunch, continue to Pienza for dinner and check in to your hotel for the next three nights, the Relais il Chiostro di Pienza. Enjoy a guided walking tour of the Tuscan town of Lucca, including San Giovanni, a deconsecrated church with traces of a Roman house and baths. Visit Lucca's cathedral, home to a venerated wooden crucifix which has attracted pilgrims to Lucca since the early medieval period. Enjoy a morning orientation walk around Pienza, including the Palazzo Piccolomini and the cathedral, featured in Zeferelli's Romeo and Juliet. Take a short drive to La Foce for lunch and a private tour of its beautiful gardens. Return to Pienza for an evening at leisure. Enjoy a morning at leisure in Lucca. Reconvene in the late afternoon and transfer to Lake Massaciuccoli for a private boat trip. Disembark at Torre del Lago, which hosts an annual opera festival every summer. Enjoy a special farewell dinner with stunning lakeside views. 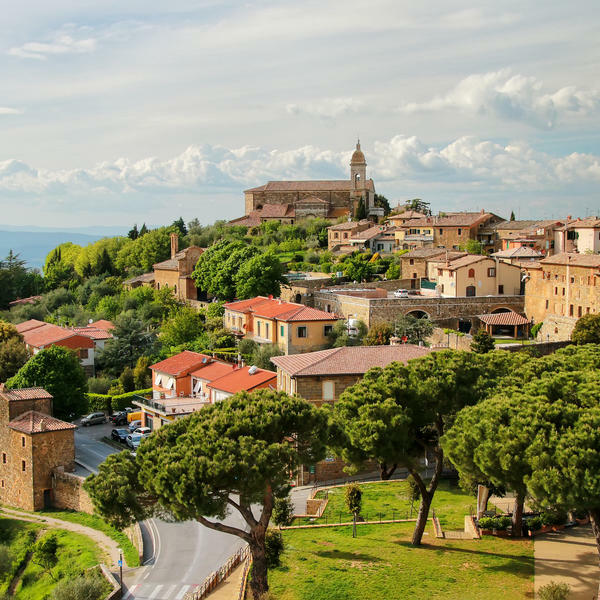 Visit the evocative 12th century Abbey of Sant'Antimo, once a glorious Benedictine monastery then drive along quintessentially Tuscan winding rural roads to Montalcino, a classic fortified Tuscan hill town. Return to Pienza this afternoon for a special farewell dinner. Say goodbye and transfer to Pisa airport for your return flights to the UK. Rediscover the taste and charm of Florence at Montbello Splendid in a location that provides both maximum tranquillity and privacy. From the Hotel Montebello Splendid you can reach all of the main monuments and points of interest in Florence in just a 10-15 minute walk. A "boutique hotel" with 5-star service, the staff do everything they can to make you feel special during your stay. Located right in the historic centre of the Renaissance town of Pienza, with its hanging gardens overlooking the Val d'Orcia, the Relais Il Chiostro di Pienza, an ancient 13th-century convent, offers comfortable and unique rooms. The ancient building that houses the Relais il Chiostro di Pienza has played an important role in the development of the famed Tuscan city of Pienza. 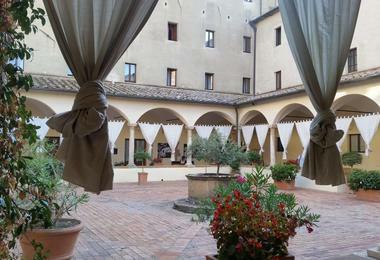 This former Franciscan Convent dating back to the 13th Century has a terrace and garden with panoramic views of the picturesque hills that surround Sienna. In the very heart of the historical town of Lucca, inside the old walls, lies Albergo San Martino, a warm and cosy hotel with welcoming staff and a tasty breakfast buffet. A small, family-run hotel in a fantastic location, Albergo San Martino lies just around the corner from some of Lucca's main historic sites. The staff are extremely welcoming and helpful and are happy to give top tips on local places to eat out. An overall charming hotel with lovely rustic decor.